This sets out the terms of reference for the whole volume, particularly its focus on non-state conspirators acting mostly in the aftermath of the Cold War, when nuclear materials from the Soviet Union were reported to be on the black market. The novels discussed here present extrapolative scenarios based on perceived threats to the USA. These have become institutionalized through their use by the CIA, Homeland Security and other bodies. Hence we shall see a constant overlap in this material between fiction and security planning, just as the novelists considered have often pursued careers as journalists, politicians or security agents. 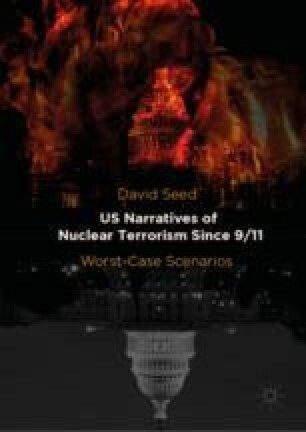 9/11 does not mark the beginning of these scenarios but serves as a major reference point, particularly in fears of a nuclear recurrence.